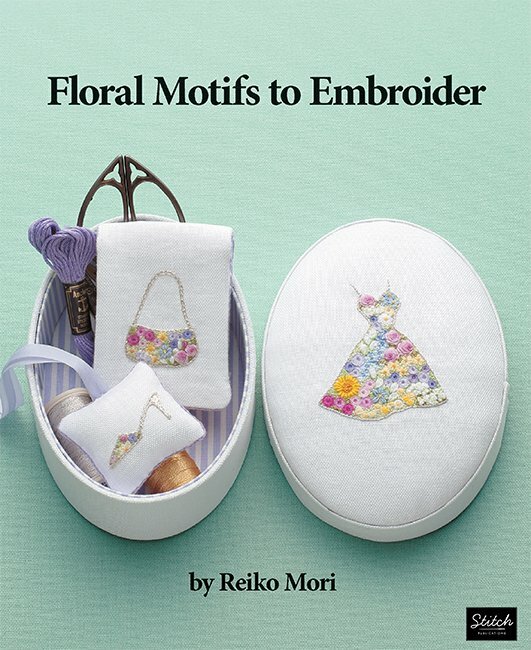 Visit an exquisite embroidered garden in this awe-inspiring volume from Japanese master embroidery artist Reiko Mori. Visit an exquisite embroidered garden in this awe-inspiring volume from Japanese master embroidery artist Reiko Mori. In seven chapters, Ms. Mori shares an abundance of motifs inspired by flowers, from delicate sprigs and bouquets to climbing vines and perching birds. Blossoms as showy as roses and as modest as dandelions become masterpieces under Ms. Mori's hand. Themes within each chapter showcase each embroidered bloom. Delicate bridal accessories, precious teapots and teacups, a ballet slipper, and an astonishing floral alphabet are just a few of the elements embellished with elaborate floral embroidery. A guide to embroidery-floss colors, essential notions and tools, basic techniques, and a how-to library of embroidery stitches will help aspiring embroidery artists find success.